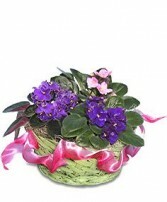 The Perennial Pluggable has a jade green crackle glaze, accented with a floral and greenery design. 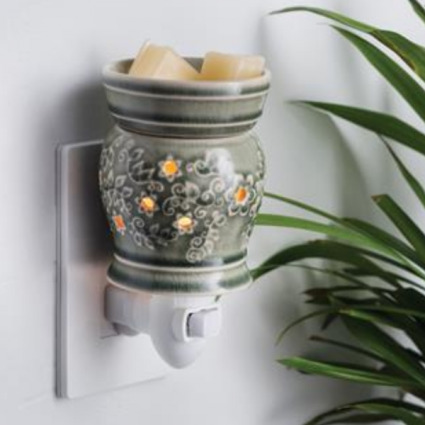 Pluggable Fragrance Warmers can be used in both vertical and horizontal outlets by twisting the plug base, making them ideal above counter outlets in small rooms and spaces. Wax products from Candle Warmers Etc. are 100% paraffin wax that holds more fragrance and lasts longer compared to scented gels, oils, or sprays. The soft glow of the halogen bulb creates the ambiance and fragrance of a lit candle, without flame, soot, or other pollutants. 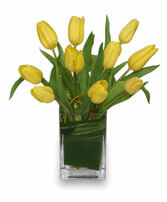 Elegant home décor is the focus of every Candle Warmers Etc. product, and each is made to complement your personal taste. Simply add wax melts to the dish, turn it on, and enjoy your favorite fragrance as it spreads through the room.